Dumpsters are a simple solution to getting rid of a lot of unwanted trash all at once. You may need to resist the urge to toss everything you come across. 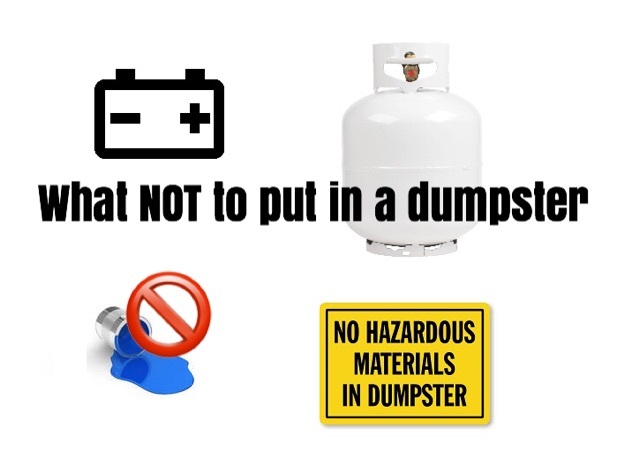 First, you’re going to want to take a look at this list of items than cannot go in the dumpster. If you find yourself unsure about an item you’re thinking of putting in the dumpster, feel free to contact us and ask.